Non-fusible. Inside Bracket Length 2.12" (53.87mm). Standard 6" leads. Item: Non-fusible standard 6" leads. Amps: 15. Poles: 3. Volts: 300 VAC. 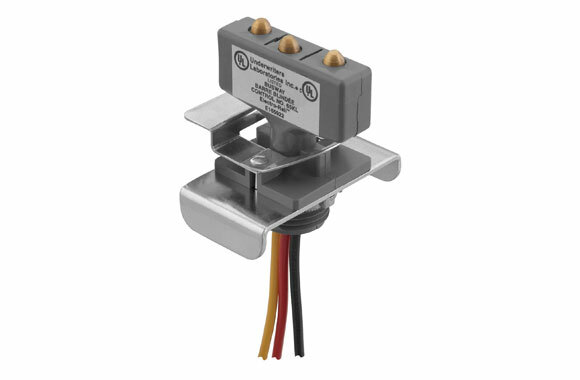 Non-fusible with box and cable clamp. 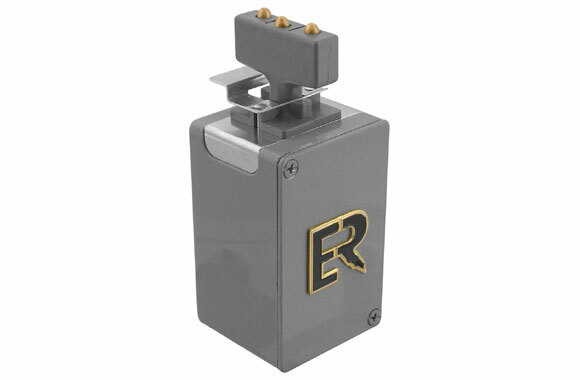 Item: Non-fusible plug-in jack with junction box. Amps: 15. Poles: 3. Volts: 300 VAC. 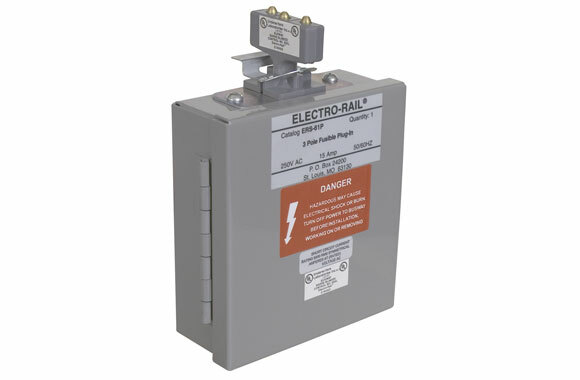 Non-fusible with box and NEMA Type 5-15R receptacle. 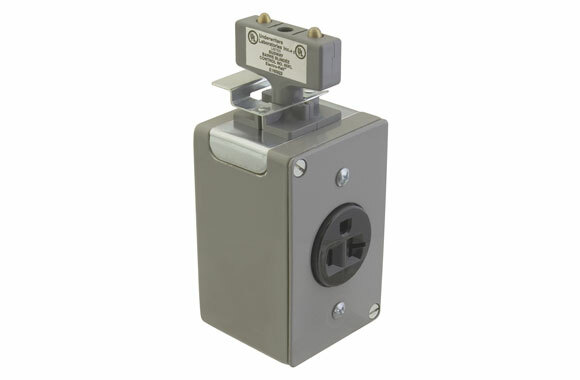 Item: Non-fusible w/box and NEMA type 5-15R receptacle. Amps: 15. Poles: 2. Volts: 125 VAC, 125 VDC. Fusible with cabinet and fuse block. Item: Fusible w/cabinet and fuse block. Amps: 15. Poles: 3. Volts: 250 VAC. Note: Fuses are not included. Fusible Trolleys take 9/16" x 2"cartridge fuses. Item: Jack Assembly 3 pole. Amps: 15. Poles: 3. Vols: 250 VAC. 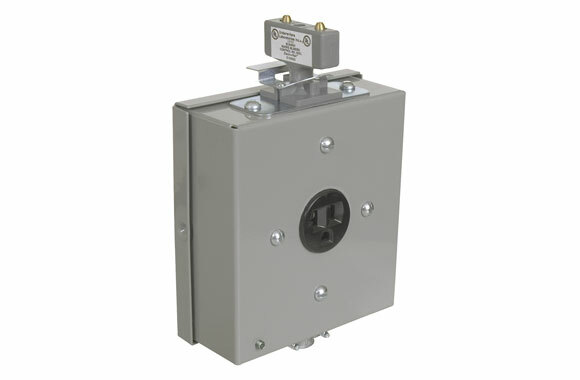 Fusible with cabinet, fuse block and NEMA type 5-15R receptacle. 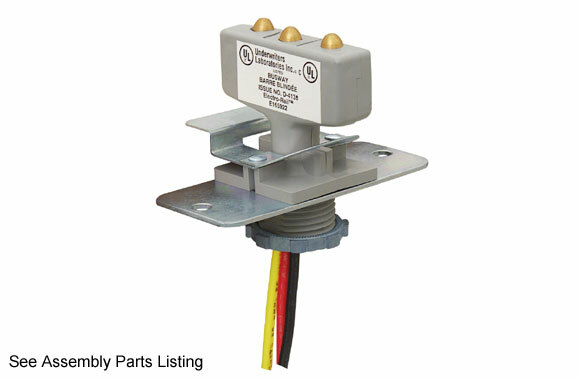 Item: Fusible w/cabinet, fuse block and NEMA type 5-15R receptacle. Amps: 15. Poles: 2. Volts: 125 VAC, 125 VDC. Note: Fuses are not included. Fusible Trolleys take 9/16" x 2"cartridge fuses.